Guam's housing market remains depressed. In 2013, the residential median price plunged by 10.5% (-10.1% inflation-adjusted) from a year earlier, to US$187,989, according to figures released by Cornerstone Valuation Guam, Inc. On a quarterly basis, residential prices fell by 6.3% (-6.6% inflation-adjusted) in Q4 2013. The median price of single-family dwellings fell 9.1% (-8.7% inflation-adjusted) in 2013, to US$200,000. In Q4 2013, prices of single-family dwellings fell by 4.3% (-4.6% inflation-adjusted) from the previous quarter. In contrast, the median price of condominium units surged 10.9% (11.4% inflation-adjusted) in 2013, to US$130,000. However on a quarterly basis, condominium prices plummeted 18.8% (-19% inflation-adjusted) in Q4 2013. Property demand remains depressed. Total real estate transactions in Guam in 2013 were just US$261.7 million, less than half the US$472.9 million real estate sales in 2012, based on figures from Cornerstone Valuation Guam, Inc. There were a total of 761 real estate transactions in 2013. Some high-priced transactions last year: Tumon ocean front in Tamuning at a price of US$10.5 million; Former Lada Estate site at Dededo at more than US$9 million; Agana Bay ocean front in Tamuning at US$5 million; Route 3 in Dededo at more than US$3.5 million; Dandan in Inarajan at about US$3.2 million; an apartment at Alupang Street in Tamuning at US$3.2 million; and a single-family dwelling at Sheraton Laguna vicinity in Tamuning at about US$2.6 million. Guam had a total housing stock of 50,567 units in 2010, based on the 2010 Census conducted by the Bureau of Statistics and Plans. The average interest rate for one-year adjustable-rate mortgage loans was 2.63% in April 2014. The average interest rates for 15-year fixed-rate mortgage loans and 30-year fixed-rate mortgage loans were 3.13% and 4.25%, respectively, according to Capital Real Estate. Interest rates are rising, according to Capital Real Estate. "A combination of excess supply and higher interest rates will negatively impact local housing market conditions," said Capital Real Estate. Guam's real estate market is expected to remain depressed this year, according to First Hawaiian Bank. On the other hand, Guam's rental market is thriving. The rental market is driven by three segments, namely the subsidized military, subsidized Section 8, and local market. In 2013, the average monthly rent for condo/apartments rose by 33.7% y-o-y to US$1,843. The average monthly rent for single-family dwellings increased 29.3% to US$2,746 over the same period. 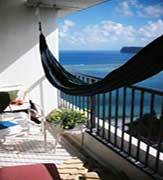 The number of condo/apartments rented in 2013 was up by 5.2% y-o-y to 1,083 units, according to Cornerstone Valuation Guam, Inc. Likewise, single-family dwellings rented increased by 2.3% to 676 units. The military expansion in the island is the result of an agreement between the US and Japan to relocate around 8,000 US Marines and their dependants from Okinawa to Guam. There are some restrictions on foreign property ownership. Guam is a territory of the US and its people have U.S.citizenship. Non-U.S. citizens who have not declared their intent to become permanent residents (green card applicants) can only buy one house or condominium in their personal names, which must be owner-occupied. For investment purposes, however, a foreigner can form a Guam corporation with at least one local shareholder/director. The corporation can then buy as much property as it wants. Residential property prices are around US$1,100 to US$1,450 per sq. m.
A 220 sq. m. house with a big lot might cost about US$250,000. The rent for the same house might be around US$3,000 per month, thus producing a rental yield of 14.4%. Yields on smaller properties range between 8% and 13%. Rental Income: Nonresident foreigners earning rental income through a company are taxed at the progressive corporate tax rates. Capital Gains: Capital gains on property sales are taxed at 15%. Inheritance: No inheritance tax is payable by foreigners. Residents: Taxation proceedures for residential aliens are similar to those in the mainland US. The total round-trip transactions costs are around 6.6% to 12.6%. The biggest cost is the real estate agent, at between 4% and 10% of the property's value, payable by the seller. The buyer shoulders all other costs - the escrow fee, title insurance, recording fees, all of which amount to about 2.6% of the property's value. Guam's law is pro-landlord, despite the wave of pro-tenant legislation in the mainland US. Rent: Rents can be freely negotiated by landlord and tenant. Guam's Rent Control Law applies only to verbal rental agreements. Tenant Eviction: Eviction of tenants for default in payment of rent is relatively simple and straightforward. Guam has beautiful and secluded beaches, world-class diving and snorkeling, and a variety of cultural and historical sites, activities and events. Today, the island’s two main economic pillars are tourism and US military spending, which together contribute about 90% of total revenues. Known for duty-free shopping, Guam's American culture is itself a tourist attraction. In the past two decades, the tourist industry has expanded rapidly resulting in a construction boom. There are more than 1.1 million tourist arrivals in Guam annually, including about 800,000 visitors from Japan and 150,000 from Korea. Guam’s tourist hub, Tumon, features the Pleasure Island, large hotels, indoor aquarium, and other entertainment facilities. In 2013 there were 1,334,497 tourist arrivals, up 2% from the previous year, despite the global decline on Japanese tourism, according to the Guam Visitors Bureau. Most food and industrial goods are imported, with 75% of the imported goods from the US. Guam became an unincorporated territory of the United States in 1950. The island has a presidential multi-party representative democratic system. The Governor is head of government. Guam elects one non-voting delegate to the US House of Representatives, but has no votes in the Electoral College. In addition, Guam residents are not allowed to vote for the President of the United States. The island has a large population of Filipinos, Chinese, Japanese, Koreans, and Micronesian Islanders, in addition to the indigenous Chamorros and 'stateside' Americans, as well as a few Vietnamese, Indians, and Europeans. The island enjoys a steady tropical climate at an almost constant 25-30℃ (77-86℉) all year round. The dry season runs from December to June (May to July are hot), the rainy season runs for the rest of the year.